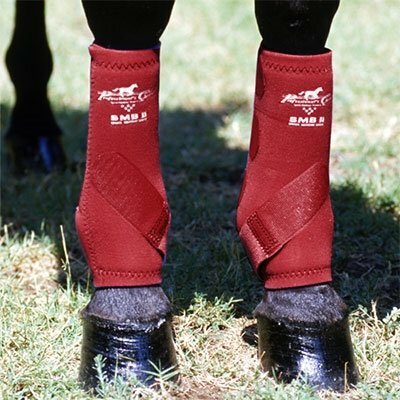 SMB IIs are the best selling equine leg care products in the world. They have protected countless performance horses over the years in every imaginable event, including polo, jumping, reining, barrel racing, endurance, working cow horse and many others. For many horse--s, these boots have meant the difference between an extended career and periodic or permanent injuries. So, it’s no wonder there have been numerous attempts to copy them. 30-Day money-back guarantee/six-month warranty or as required by law. Sold in pairs. If you have any questions about this product by Professional's Choice, contact us by completing and submitting the form below. If you are looking for a specif part number, please include it with your message.